These colourful Buzzles are designed to be completely self-correcting. Spin the spinner and move forward the number of spaces shown. Answer the question that is shown on the puzzle piece, then lift the piece and look underneath for the answer. Race your opponents to the finish line to win the game. 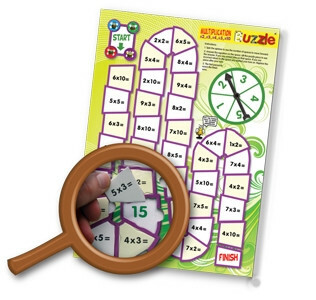 All Buzzles come with counters and can be played individually as a puzzle or by up to 4 players. Each measures 370 x 270mm.